Scored the TRU Exclusive Tie Interceptor, also my Qui Gon and Eopie mail-away came the other day. Is the Qui-Gon the same figure which came in the Evolutions set? Not sure will have to check. Bought a Legacy Vader with balljoint elbows and 2-piece helmet, and a Kashyyyk Trooper for $5 each. Ordered the 2nd version of the Ughnaught from Brian's toys. Evolution of the Commandos and Imperial Pilots sets! Great sets, but I dropped $52 on these babies! Ouch! 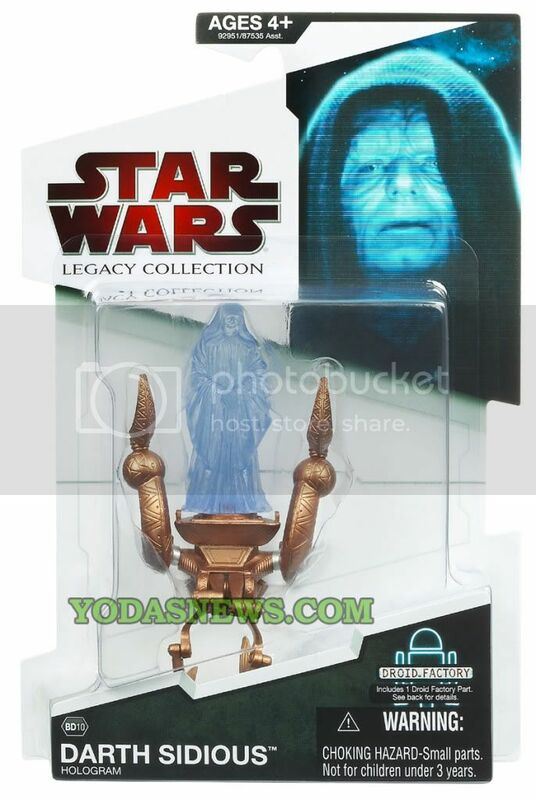 Legacy wave 10 shipping from Entertainment Earth. Thanks to KitFisto, I received the Kyle/Vong figures in the mail today. What an amazing set, and Kyle is just a great figure. Has anybody found this one yet? Yeah, I have seen it at retail twice, and passed on it each time. It just seems like a glorified accessory to me, and not worthy of its own package. But I don't see The Phantom Menace wave at retail anymore, so I am not sure if it is going to be easy to find at this point.